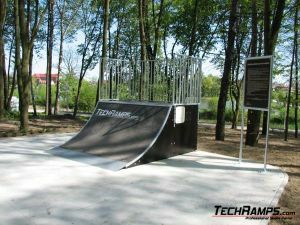 Terms skatepark - SKATEPARK CONSTRUCTION - Building skatepark and design skateparks. The difference between instructions and the rules are very simple. Instructions always supplied as a producer and there is usually about 13 major points related to the use and safety. By contrast, the administrator shall prepare rules and it is not mandatory. Are usually the same points as in the instructions, sometimes increases the amount of such a ban to enter the building after hours. 22.00, additional contact phone numbers (other than emergency), etc. In general, the rules and regulations are expanded versions of the manual. 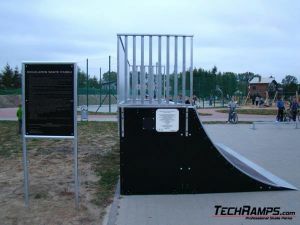 Examples of the Rules of Use skatepark (big, black plate), and instructions for use skatepark (array on one of the elements). We use the sample rules skatepark - it is possible to make it available before installing a skate park in order to determine the final content. In addition, the content is delivered together with the documents upon receipt.